Love your new stitched "Ride the Waves" piece - perfect for this time of year. As usual, you aced the vignette, perfectly lovely! So darling! I love all the vignettes you create. You have such a good eye for decor and styling. Cuteness alert!! Absolutely love your displays. Inspirational as always. 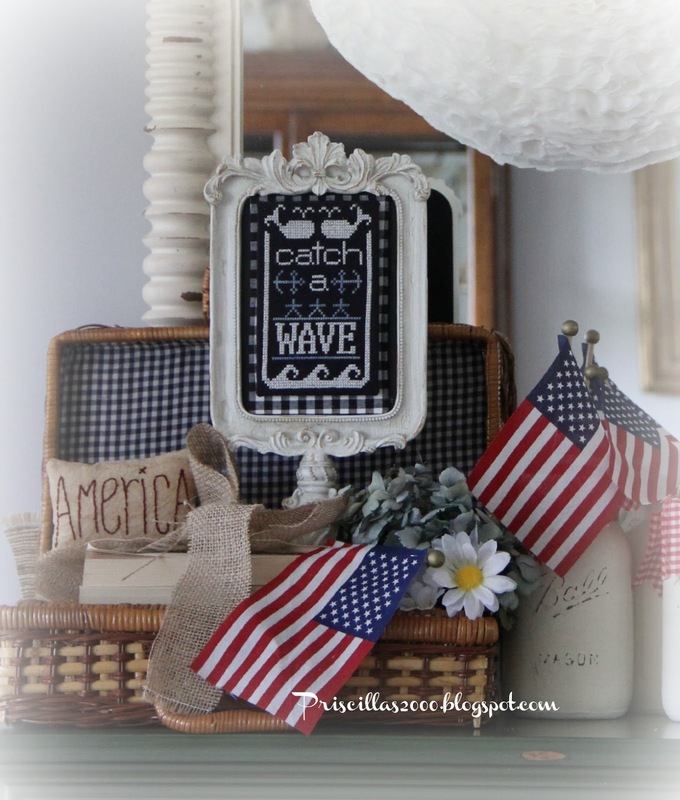 Love the red, white and blue and all things Americana. I have painted white jars and will find a way to use them for July. 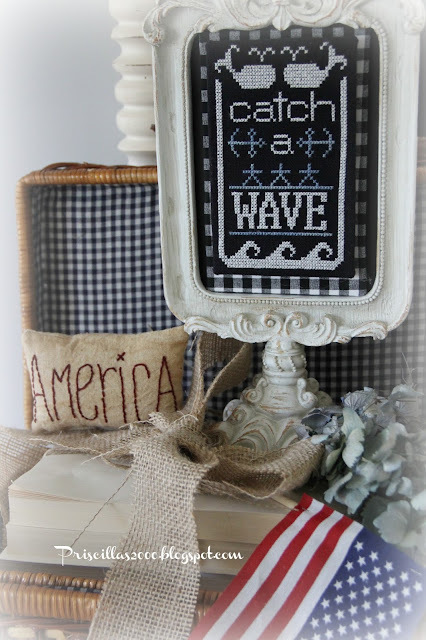 "Ride the Wave" looks just great with all your patriotic stitching. 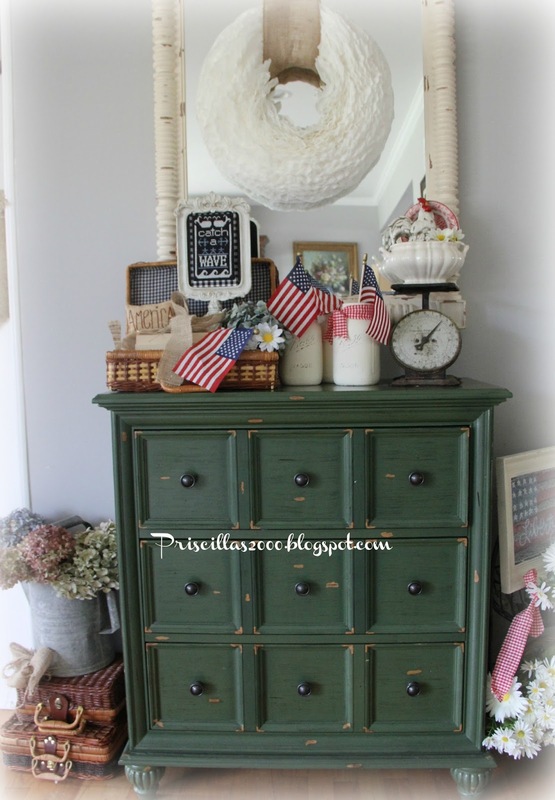 Love this sweet vignette!! And your stitchery is amazing as always!! I still have to play with the 3 tiered tray that i bought but with work and trying to get the garden in shape after the Winter, I have not had much time ......I am taking some extra days off over the next few weeks so i hope to have time to Play then!! 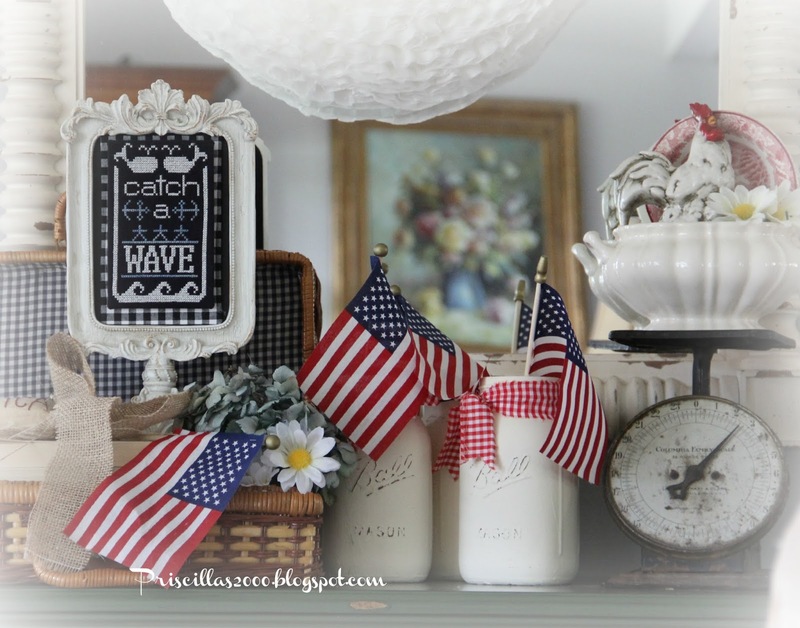 Loved your Patriotic display in the tiered tray!! Cute as ever! So sheet metal? Do you leave it on the piece or is it removable and you tuck it on each monthly? Going on a hunt for a pedestal frame today!! Thanks for sharing! 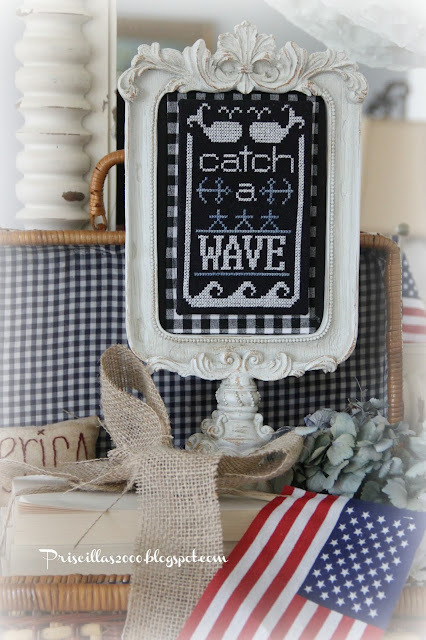 I love seeing how you use all your various stitched pieces to add to your seasonal decor! Thanks so much for linking up to last week's Stitchery Link Party and again to this week's party and for linking back! Aloha hugs!